Nokia was confirmed to be using ST-Ericsson chips in future Windows Phone handset. 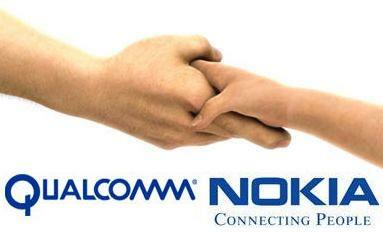 But before that, it was much thought that Qualcomm would also be a significant player for Nokia Windows Phones. Even ST-Microelectronics chief noted that it would be one of two providing power under the hood for Nokia WP. Either Qualcomm’s second generation snapdragon MSM8x55 with Adreno 205 GPU (seen in HTC Thunderbolt or Xperia Play) or MSM7x30 (Also with Adreno 205), just 256mb RAM. « Hurrah! Ovi Store has App Updates – Update all your apps within Ovi Store!